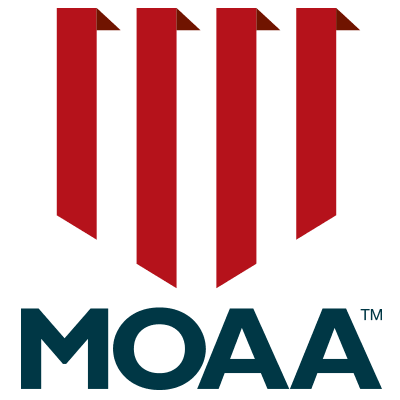 The following are the pictures and biographies of the Arizona MOAA members in the Arizona Veterans Hall of Fame Class of 2016. The presenters are Michele Reagan, Arizona Secretary of State [on the left] and Colonel Wanda Wright, USAF, (Ret) Arizona Department of Veterans Services Director [on the right]. 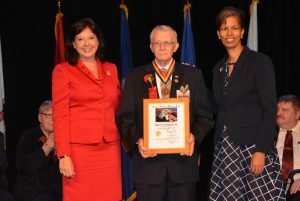 Harry H. Bailey Coronado Chapter – Born in Elmira, New York in 1941, Harry Bowen enlisted in the U. S. Army in 1961 and retired in 1983 after 21 years of service as Chief Warrant Officer 3 – Electronic Warfare Technician. 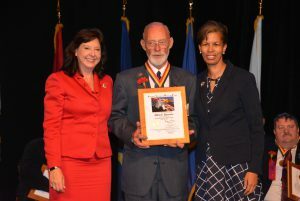 From 2003-present, Harry has served in various leadership positions in the Arizona Silver Chapter, Army Warrant Officer Association, and is currently the Past President continuing to support veteran charities and provide scholarships to students. As Co-Founder and Chair of the Cochise Serving Veterans organization, 2013-present, Harry organizes volunteers to work at StandDowns and Veteran Resource Fairs. As Chair of the Greater Sierra Vista United Veterans Council, 2015-present, Harry conducts monthly meetings to discuss and resolve veteran’s issues and provide support to the Fort Huachuca and Sierra Vista communities. From 2005-present, Harry Bowen volunteers as the Logistics Chair for the American Cancer Society’s Relay for Life events. Edmund Mangan III Superstition Chapter – Born in Chicago, Illinois in 1943, Ed Mangan is a US Air Force veteran who served from 1961-1979 as an Avionics Technician and Aircraft Maintenance Officer, including tours in Thailand and Vietnam. For 30 years, Ed specialized in the energy efficiency industry. He is a member of the Vietnam Veterans of America. From 2005-2016, Ed served as The American Legion Post 64 Color Guard Commander, and in 2016, Ed stepped up to Post Commander. 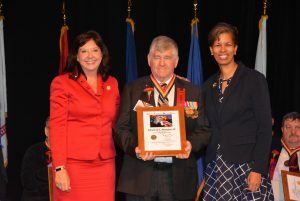 An active representative of the Military Officers Association of America (MOAA), Ed presents awards at four JROTC high schools, and organized state-wide MOAA-Diamondbacks events at Chase Field in 2014 and 2015. Since 2014, Ed Mangan continues to serve as the State Military Outreach Director for the ESGR/Employer Support of the Guard and Reserve, and the Public Relations Co-Chair for the Arizona Wall Project in Gilbert. Allen F. Rossow Coronado Chapter – Born in Yakima, Washington in 1940, Allen Rossow served as an intelligence officer in Vietnam, Washington DC, Korea, and Germany, retiring in 1993 as Garrison Commander, Fort Lee, VA. COL Rossow has dedicated thousands of hours to support active duty military, veterans, and retirees, through leadership positions in the Military Officers Association of America, including Colorado Chapter President and President, Arizona Council of Chapters. He helped organize the formation of a Sierra Vista United Veterans Council (UVC) which sponsors the Annual Veterans Day Parade activities and led fundraising efforts to build the chapel at the Southern Arizona Veterans Cemetery. Allen Rossow has served as a Red Cross Team Leader responding to fires and other disasters in Cochise County, and served as Secretary and Chair of the Sierra Vista Environmental Affairs Commission.